Running a business with your heart is not necessarily a trait they teach future business leaders. But one of Samoa’s most successful businessmen might have something to say about that. 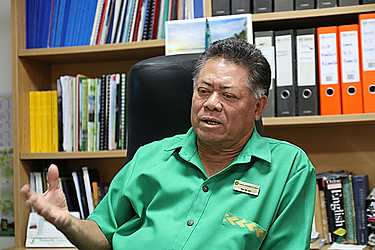 When it comes to big hearts, the Managing Director of the Samoa Commercial Bank (S.C.B. ), Lemalu Ray Ah Liki, is up there with the best of them. But giving to the community has never been a foreign concept for Lemalu. Even when people who are in search for help are lined up passed the S.C.B. Main Office doors right up to beach road, the man in charge always finds a way to accommodate all. From his quick jump to action to donate to the victims of the Savalalo Fire to supporting different sports communities through donations, Lemalu’s helping hand is well known. “We love to support the sporting community, the churches, the business organizations and many others who are in real need of our assistance,” he said. But what really got people talking, was the loan scheme, which catered to the low to no income earners, those who would normally be turned away by other banks. Launched in October, The Small Development Loan Scheme for the Low Income Earners (S.D.L.S.) aims to increase productive investment, productivity of low-income families, employment, export and living standards of the population. “This year alone I read the Observer and saw a lot of people in the rural community, who need help,” Lemalu said. 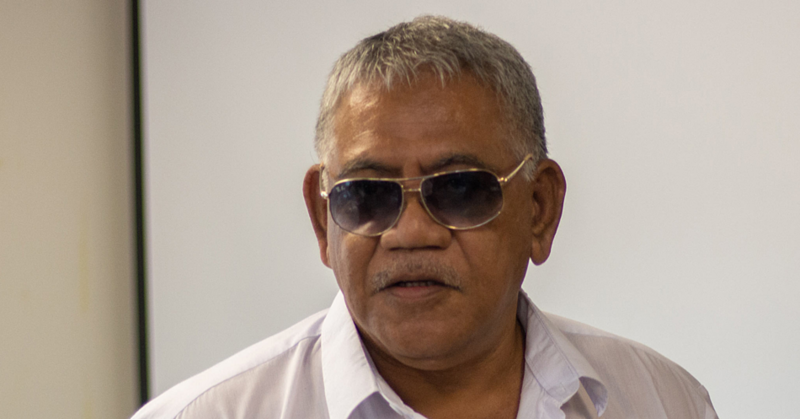 After seeing and reading about the hardships of many in Samoa, Lemalu quickly though of a plan to aid those who struggle to find ways to financially develop their lives. “I opened a new window immediately after that for the low income people who would like to have access to funds to help develop their farming activities,” he said. His only hope, through the scheme, is that others will jump onboard to help those in need. “This is just us, we love to give back to the community and help out in every sector of the economy,” he said. And in the end, Lemalu says that he hopes that the help they give will eventually inspire those hard working people to become even more productive. “Giving them some money may inspire them to do some worthwhile work in farming,” he said. But what inspires such heartfelt actions? Lemalu says that growing up in his family wasn’t a walk in the park and he understands that life is not easy at all. This understanding makes it easy for him to relate to others who suffer and then help out where he can. “We worked hard and we are successful people; as long as we are comfortable, our children are comfortable, and the goal for us to continue to provide employment to our people and contribute to the economy of our country. On the other hand, Lemalu just likes to help people which he understands will eventually help the country thrive. “I like to help people, I like to create employment and lift the living standards of our people,” he said. Lemalu concluded by saying that this will not be the end of the line for his help. He will continue to work with the community and help where he is needed. “All in all, we will continue to work with the community and with the clients,” he said. “In that way, they are happy, the bank is happy. But the other banks, they sign the agreements, you fail then you will be penalized.